LEONIA, New Jersey (WABC) -- Police in New Jersey have arrested an alleged hit-and-run driver who they say struck an elderly man in a wheelchair Monday morning. The incident happened just before 11 a.m. at the intersection of Fort Lee Road and Leonia Avenue in Leonia. Authorities say the 78-year-old victim was crossing in his wheelchair when he was struck by an SUV traveling eastbound on Fort Lee Road. The force of the impact propelled the victim approximately 20 feet, and as a result, he sustained six broke ribs, a broken clavicle and possibly a broken hip. The vehicle's front skid plate was recovered at the scene, and it was determined that it came from a 2016 Buick Encore. 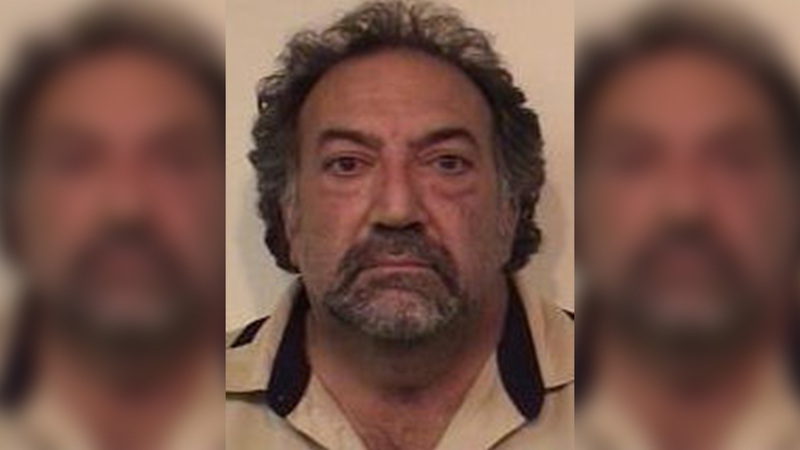 A pair of detectives reviewing video from a nearby building and checking for additional surveillance Tuesday afternoon spotted 53-year-old Thomas Malatesta pulling a vehicle fitting the description and with front-end damage and missing its skid plate into a nearby parking lot. Authorities say he was taken into custody and interviewed at police headquarters, where he reportedly admitted hitting the victim and fleeing the scene without rendering aid or calling 911. He is charged with knowingly leaving the scene of a motor vehicle accident with serious bodily injury, endangering an injured victim and three motor vehicle summonses.